Have you witnessed something and you had to share with your family and friends about it? Or having a wonderful experience at a restaurant and instagram-ing about it? That is word of mouth marketing. In case you didn’t know yet, it is an organic method of distributing information that utilizes components of viral marketing. Different from viral marketing, it extents by more natural networks. Word of mouth is a free form of promotion. It is shared by customers based on the event the customer experiences. Word of mouth marketing is a powerful tool, it has the capability to shift awareness of your business viral. It’s crucial for the brand to invest in the power of word of mouth. By engaging deeply with the audience, you become a strong presence in their lives that makes them feel appreciated. If are able to understand and empathize with your audience, this offers them a reason to share your product. You can easily accomplish this by responsive, superb customer support, no matter which platform this is provided on. Consumers appreciate word of mouth marketing. Research shows that 92% of consumers trust recommendations from family and friends more than other types of advertising. 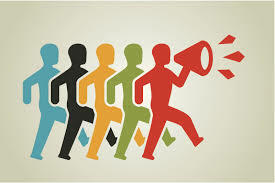 To boost word of mouth marketing for the brand, it is vital to connect with the audience on social media networks so that followers are committed to the brand, its services or products. By empowering, equipping and engaging your audience, you’ll become a much valued and talked about the brand that will produce many conversions and ramp up sales. Establishing trust with the audience is crucial if you prefer to make brand ambassadors who are eager to share your services or products with their network. Trust could be complicated to achieve in the online world; however, but working carefully and taking care of the customers, you’ll get the benefits as your customers perform the marketing on your behalf by word of mouth. Did you know that a strong marketing campaign could make a continuous stream of buzz around the brand? This is thanks to technology, which has never been easier for many consumers. Furthermore, a post, which takes a few minutes for a user to make, could be seen by hundreds of friends who trust them and this could soon become viral, especially if the original post was well executed. There are also the people who are offline. Someone who has seen a strong piece of marketing online tends to talk this with their family, friends, and acquaintances offline, resulting to further passion and conversations around the brand.